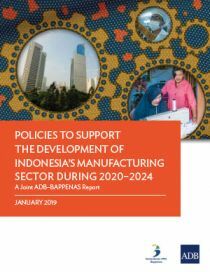 Policies to Support the Development of Indonesia’s Manufacturing Sector during 2020–2024: A Joint ADB–BAPPENAS Report. 2019. ADB. Development And Modern Industrial Policy In Practice: Issues and Country Experiences. 2015. 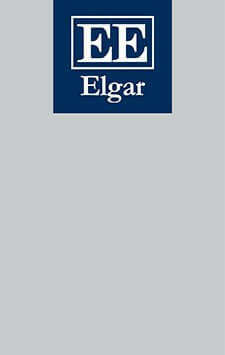 Edward Elgar. 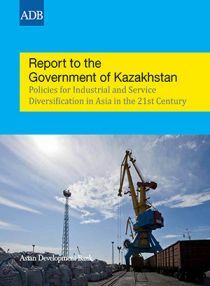 Report to the Government of Kazakhstan: Policies for Industrial and Service Diversification in Asia in the 21st Century. 2013. ADB. The Aggregate Production Function And The Measurement Of Technical Change ‘Not Even Wrong’. 2013. Edward Elgar. Inclusive Growth, Full Employment and Structural Change. Implications and Policies for Developing Asia. 2009. Anthem Press. Labor Markets in Asia: Issues and Perspectives. 2006. Palgrave, Macmillan. Policies to Support the Development of Indonesia’s Manufacturing Sector: A Joint ADB-BAPPENAS Report. 2019. Asian Development Bank. The Aggregate Production Function And The Measurement Of Technical Change: ‘Not Even Wrong’. 2013. Edward Elgar. Inclusive Growth, Full Employment and Structural Change. Implications and Policies for Developing Asia. 2009. London: Anthem Press. Labor Markets in Asia: Issues and Perspectives (with Rana Hasan). 2006. Co-editor and co-author of 5 chapters. Basingstoke: Palgrave Macmillan. Selected in 2006 as one of the Noteworthy Books in Industrial Relations and Labor Economics by Princeton University. “Middle-Income Transitions: Trap or Myth? (with U. Kumar and R. Galope). Journal of the Asia Pacific Economy. Vol.22, Issue 3: 429-453. “Why are Some Countries Richer than Others? A Sceptical View of Mankiw-Romer-Weil’s Test of the Neoclassical Growth Model” (with JSL McCombie). Metroeconomica, Vol.56, No.3: pp.360-392. “A Critical Survey of Estimates of Total Factor Productivity for the ASEAN countries.” En. F. Gerard Adams, Takeshi Katsuhara, and Kenji Nogami (eds. ), Interdependence and New Direction for Development Policy in East and Southeast Asia, pp. 41-50. Kitakyushu (Japan): The International Center for the Study of East Asian Development. July 1995. “Supply-side Disaggregation and Growth in an East-Asian Model System: Methodological Considerations-An Application to Malaysia.” En F. Gerard Adams and Takeshi Katsuhara (eds. ), Industrial Policy, Background and Implications, pp. 207-221. Kitakyushu (Japan): The International Center for the Study of East Asian Development. July 1994.